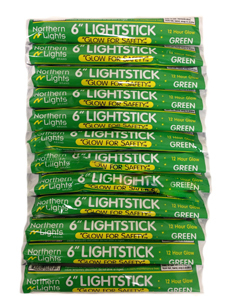 Home > EMERGENCY LIGHTING > Green Lightsticks Pack of 12 Made in the USA! Light Sticks or Glow Sticks as they are often called, are used for many purposes. Light sticks are waterproof, do not need batteries, are inexpensive, and are disposable. They can tolerate high pressures, such as those found underwater. 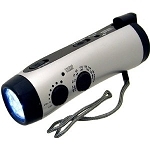 They are used as light sources and light markers by military forces, campers, and recreational divers doing night diving. They are safe for use in explosive environments.